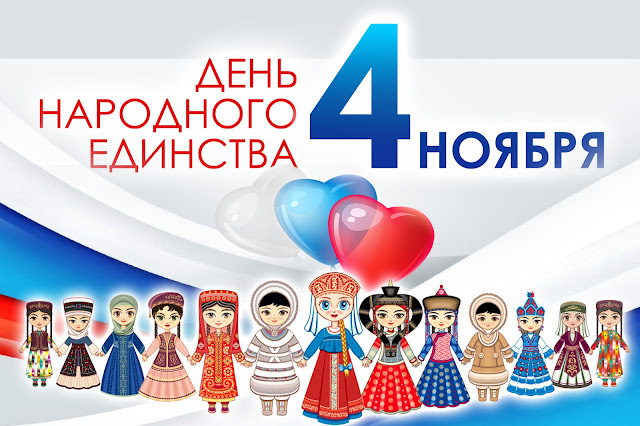 ABC Russian: Happy Unity Day! Today in Russia we celebrate День Народного Единства or Unity Day (also called Day of People’s Unity or National Unity Day. This is a national holiday in Russia held on November 4 (October 22,Old Style). It commemorates the popular uprising which expelled Polish occupation forces from Moscowin November 1612, and more generally the end of the Time of Troubles and turning point of the Polish-Muscovite War (1605–1618).